Many men seem to think that should their destinies lead them into parts of the world where there is mineral wealth they will have little chance of discovering the deposits without the technical education of a mining engineer. This is wrong. The fact is that the sphere of the prospector does not cover that of the engineer. The work of the one ends where that of the other begins, and many of the most successful discoverers of metallic wealth have been entirely ignorant of the methods by which a great mine should be opened, developed, and worked. A few simple tools and a not very deep knowledge of assaying, with an observant eye and a brain quick to deduce inferences from what that eye has seen, are the most valuable assets of a prospector. In time he will gain experience, and experience will teach him much that he could not learn in any college nor from any book. Each mining district differs from every other, and it has been found that certain rules which hold good in one region, and guide the seeker after wealth to the hidden treasure that has been stored up for eons of time, do not apply in another region. 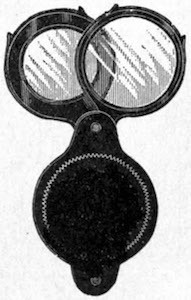 To show what may be done with imperfect, improvised apparatus, an Australian assayer, who has since become famous, started up country in his youth with the following meager outfit: A cheap pair of scales, a piece of cheese cloth, a tin ring 1-1/2 inches by 1/2 inch, a small brass door-knob, some powdered borax, some carbonate of soda and argol, a few pounds of lead lining taken from a tea chest, an empty jam pot, a short steel drill, a red flower pot. With this modest collection of implements he made forty assays of gold ores that turned out to be correct when repeated in a laboratory. About the best advice that can be given to a man who has determined to go to some out of the way region where there is a possibility of his discovering minerals is to recommend him to visit the nearest museum and gain an acquaintance with the common rocks. Should he be unable to do this he had better provide himself with small, inexpensive specimens from the shop of some dealer. It is almost impossible to teach a beginner to distinguish the various rocks by any amount of printed instruction; the only way to learn to recognize them is to handle them and note carefully their color, weight, and the minerals that go to make them up. The explorer should be able to recognize at a glance, or at any rate after a very short inspection, the sedimentary rocks, such as sandstone and limestone; the metamorphic rocks, that is, rocks that have been altered by the agency of great subterranean heat in ages long past, and which were probably stratified rocks at one period, such as granite and gneiss, and the truly igneous rocks--trap, diabase, diorite, etc. He must know also that mysterious rock which the western miner calls porphyry, and to which is ascribed most wonderful virtues in the way of ore attraction; while dolerite and dolomite must be to him familiar terms and substances. This sounds easy enough but the student will find that a good deal of hard work is necessary before he can readily recognize each of these rocks. It is even more necessary that he should learn the metals thoroughly. Each one differs from all the rest in some particular. Often this difference will be an obscure one, but to the careful investigator the recognition of the substance will be in the end certain. They may differ in weight, in color, in hardness, in a dozen different ways, so that to the man who has made a study of this subject a determination is always possible. On account of the wonderful discoveries in the Canadian Northwest and in Alaska, the eyes of thousands are turned towards those fields. Wonderfully rich placer ground has already been found and there can be no reason to doubt that very much larger areas remain unproved. Where this gold comes from is an open question; geologists, mineralogists and chemists, not to mention mining engineers and practical prospectors, have disputed over the source of the gold already found, but it must be confessed that there are almost as many theories as there are disputants. Could it be known with certainty how and under what conditions the gold got where it is found, the problem of seeking for it might be made easier. Unfortunately this is not the case, and all prospecting for the home of the precious metal is more or less a groping in the dark. We do know that the heaviest particles of gold do not travel far from where they were first deposited, because gold is so enormously heavy--its specific gravity being about nineteen times that of water--it seeks the bottom of the stream and stays there. It is not an invariable rule that the gold increases in coarseness as the stream is ascended, but it is a very general one. On some rivers rich and poor stretches of gold-bearing gravel succeed one another as the explorer makes his way up or down stream. This is difficult to account for, but in many cases is believed to be caused by the modern river robbing the bed of some one or more ancient water-courses whose beds crossed the valley of the present stream. This may or may not be the case. We only know that the miners who found coarse gold on the lower regions of such rivers as the Frazer were miserably disappointed when they reached stretches near the source and found nothing but flour gold. This same feature has been noticed in some of the Alaskan rivers. It is quite within the bounds of probability that no very rich quartz veins exist in Alaska. It does not follow from the richness of the placers that the gold is derived from very rich quartz lodes, because this amount of gold may really represent the product of a vast amount of rock that has been ground to powder and washed away in the course of ages. The gold would not travel far, and the deposits being unearthed to-day have been accumulating in these northern streams since the world was young; water-courses are nature's ground sluices. It is possible that one stream has cut through the drainage of another. Sometimes this has impoverished the first and enriched the second, while in other cases the reverse has obtained. Upheavals have formed faults and fractured the strata, and the gold may have been deposited by solution in these fractures. Often the soil will have been washed away from near the top of the mountain, so that layers of stratified rock are seen to be duplicated on each side while they are covered at the summit. The prospector keeps his eye open as he goes along and notes carefully the character of the fragments of rock he finds in the streams. Quartz, diorite, diabase, and porphyry pebbles are grounds for expecting a profitable result, but of course there is no certainty of such a happy issue. As soon as the district begins to be fairly well known certain discoveries are made that invariably render prospecting easier. Local peculiarities are noted; certain characters are found to be common to the ore-bearing bodies or deposits; the lines of deposits become known, and a good deal of light is then shed upon a very difficult problem. As a rule, when the fragments of quartz, pyrite, chalcopyrite, or galena are rough, they have not traveled far, and the lode from which they have been derived should be close at hand. Water and attrition soon round these minerals on their sharp edges, and thus show that they have come from some little distance. In some countries, especially where vegetation is scanty, the outcrop of a body of mineral may be traced by a difference in the vegetation. In South Africa a chain of pools usually follows the course of a line fault, which in its turn marks where an intrusive lode carrying mineral separates two different formations. As a rule, any heavy mineral is worth investigating. Even in remote regions silver, mercury, tin, nickel, platinum, copper, and several other metals are worth paying attention to. If they are too far away from the railroad or the steamboat to-day they may not be so next year, for civilization advances with giant stride in these days and never faster than when transportation companies are reaching forth to some newly discovered mineral field. One of the greatest drawbacks to prospecting in the North is the dense growths of moss and forest that cover the ground. In most of the Western states, in South Africa, and in Australia this drawback does not exist and prospecting was by that much the easier. However, as a compensation, there is abundant water in Alaska and the Northwest, while it was and is almost entirely absent in several other regions that possess immense bodies of ore which are not available for this very reason. Quartz has been called the mother of gold, and certainly quartz and gold are inseparably connected to-day. As to where gold may be found the best reply that can be given is in the words of the old miner, who, when asked that question, said: "Where it be's; there it be's," and then added, "and there ben't I." Although most prospectors travel alone from sheer necessity, there can be no doubt that three or four men forming a party and working together have the advantage. They can do their work cheaper, more thoroughly, and more surely. By co-operating they may carry a more complete outfit. Should any accident happen help is at hand, whereas the solitary wanderer often dies as the result of some accident that would have been trivial had he had a companion. Three or four claims may be worked in conjunction with one another at far less proportionate expense than a single one could. Nature's preparation for the reception of great ore deposits is somewhat as follows: The crust of the earth is prepared for the reception of the metals by great outbursts of igneous or melted rocks; the metals themselves being carried in suspension in the heated water that everywhere traverses the strata. These metals are deposited in the veins as soon as the waters begin to cool, and the pressure to which they were subjected from deep down in the earth's crust is removed. A great mineral country is usually marked by the outcrops of the veins being persistent in their courses and traceable for many miles, though very probably many breaks may occur in these outcrops. The rocks associated with great ore bodies are lime, porphyry, granite, shales, slates, quartzites, and diabase. Fragments of mineral and gangue, known to the miners as float, may be littered over the hills and encumber the courses of the stream. A central line of eruption may often be traced by masses of altered rock, and beds of lava or other volcanic products. We find the granite has been melted and the limestone has acquired magnesia, and thus become dolomatized. Whenever a heavy deposit of pyrites, or mundic, is found mineral probably exists below. The cubes of pyrite are not always valueless, they may contain gold in addition to the iron and sulphur. When the pyrites decay under the influence of the weather, and leave the quartz honeycombed, these cavities often contain concentrated gold; for which reason you often get a higher assay from the surface than from any point lower down in the vein. In sinking the shaft soon gets below this altered quartz and the ores are then combined with sulphur. They have become sulphides, and are harder to treat. 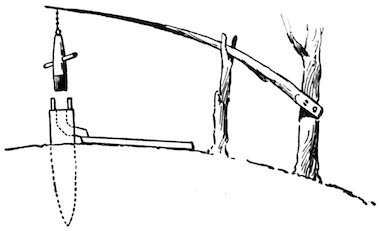 The prospector should therefore act very cautiously when trying to develop a mine with a small capital behind him; because, although the first ore may be adapted for stamping, he may find, before he has gone down fifty feet, that it can only be treated in a smelter, and that all the money he has put into crushing apparatus is wasted. Without the prospector there would be no mining and the world would yet be in the stone age. He is not appreciated at anything like his real worth. He requires ability and experience, push and perseverance. Prospecting is a search for valuable minerals. He may not be very deeply learned in either geology or mineralogy, but he must have a keen eye and good natural powers of observation. There are some sixty or seventy elements in the world, and the most common is oxygen. Nearly all the coloring matter of rocks comes from iron. Wind, frost, rain, snow, and heat, cause a crumbling of the different rocks, and running water wears them away, and carries off and distributes the particles. By this agency, and by floating ice, they are often removed to long distances. The action of internal heat renews the deposits of mineral by eruption, or by hot springs, but this means of renewal was much more powerful in the past than it is now. Organic matter found in the crust of the earth was derived from animals or vegetables. Coal is a legacy from forests that flourished ages ago, while petroleum is all that remains of vast schools of fishes that swarmed in Devonian seas. Stratified rocks are either sand, clay, or calcareous, which means lime-bearing. In their natural position they were horizontal, but owing to subsequent volcanic action they are, in some localities, tilted at all conceivable angles. The eruptive rocks have burst through them in places, changed their character, divided them by intrusive masses, and generally enriched them with mineral deposits. Everything now known points to the theory that the contents of veins were deposited in the lodes by infiltration. In a few instances famous mines have no veins, but are literally hills of mineral; they are then of low grade, but much more remunerative than average high grade mines, owing the vast quantity of ore, and the ease with which it can be mined. The famous Treadwell mine, on Douglas Island, Alaska, has ore that is worth less than four dollars a ton, but it is quarried, and 640 stamps work day and night. There is about a dollar a ton profit, and hundreds of thousands of tons are treated annually. The tin mine known as Mount Bischoff, in Tasmania, and the Burra copper mine in Australia are other instances. Each of these deposits was found as an outcropping on the bare top of a low hill, and none of them has walls. A fault may throw the vein up or down, and a good deal of exploration may have to be done before it is recovered. A lenticular vein consists of a series of double pointed ore bodies like lenses which may be strung out, overlapping, or not. The outcrop of a vein is never the same as its strike, except on a level surface. A stringer of ore branching off from the main vein is known as a chute, shoot, or chimney. In developing a ledge or lode, first find out what the ore is. 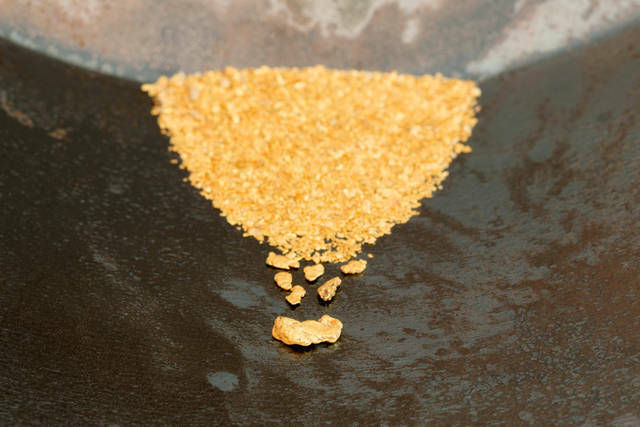 Gold is shown in the mortar, especially after roasting. Silver may be recognized at sight, or by assay tests, or blow pipe; copper, by its vivid colors,--green or blue for carbonate and red for oxide or metallic copper. The ore often differs in various parts of the vein. Explore your lode along the surface, across, and down its dip. When you find it continuous it will be time enough to think of a vertical shaft. The top of a shaft must be timbered with logs, so as to give sufficient fall to get rid of the mineral when it is hoisted. The first thing the prospector has to consider is his outfit. The more complete this is the better, but ninety-nine times out of a hundred the difficulties of transportation in a wild region are so enormous that he will have to do without a great many things that he would like to have. He must endeavor to make up for the lack of tools by ingenuity; then he may get along fairly well. A pan, he must have. In this he will wash carefully all his samples. Then, a flask of quicksilver is more precious to him even than gold; for, having it, he can resort to pan-amalgamation, which will save the precious metal even when it is in minute particles. This process may be described as follows: A pound or two of the ore in powder is placed in the pan and water is added until the mass becomes a thin pulp. One ounce of quicksilver and a small piece of that deadly poison, known to the chemist as cyanide of potash, and as prussic acid to the ordinary man, should be added, and the mass should be stirred thoroughly, for two hours if you can stand it. Then turn in water and wash off the dirt and the amalgam will be found in the bottom of the pan. This you must collect very carefully. You should have a square piece of chamois skin or a piece of strong white cotton cloth. In either case the amalgam is put in the center of this square and the cloth twisted until all the superfluous quicksilver is pressed out and your amalgam remains nearly free from mercury. This amalgam placed on a shovel and held over a brisk fire will soon show the yellow color of gold. If you have no mould you may make one of clay, put your gold therein with a little borax, and very soon, the fire being hot enough, you will have a tiny ingot of the precious metal. But most prospectors are satisfied when they have obtained their sponge gold, and do not carry their operations further in these rough and ready tests. The prospector of to-day is often a very different man from his predecessor of a generation ago. The old gold hunter used to sally forth armed with a pick, shovel and pan, and usually a very little grub. In his stead men are now taking the field who have had the benefits of a thorough education, both practical and theoretical, and provided with all the equipment necessary for their work. Some of these men carry an outfit somewhat as follows: An iron mortar holding half a gallon, together with a pestle a rough scale for pulp, a more delicate one showing troy grains and pennyweights, a 40-mesh sieve, a burro furnace and muffle, one cupel mould, a couple of dozen scorifiers, tongs to handle the cupel and scorifiers, two annealing cups, a spirit lamp, a dozen test tubes, a pouring mould, five or six pounds of borax and about as much carbonate of soda, five pounds of bone ash, ditto of granulated lead, a pint of nitric acid, ditto of hydrochloric acid, ditto sulphuric acid, ditto of ammonia, twice as much alcohol and two pounds or so of granulated zinc. As a blow pipe outfit he will take a blow pipe, spirit lamp, nitrate of cobalt in solution, cyanide of potash, yellow prussiate of potash, red prussiate of potash, a sheet or two of filtering paper and a couple of three-inch glass filters. With this outfit he can determine any mineral he may come across. By patience and observation the man who starts out to take up prospecting as a road to fortune may easily master the rudiments of his business. It will not take him long to become familiar with the commoner rocks, and the more valuable ores. His own rough tests in the field must be confirmed by competent assayers upon his return to civilization, and in this matter he should be very guarded. The most reliable assays are made either at the different government assay offices or by some of the large metallurgical works whose reputation is world wide. Prospecting is hard work, but the life is healthy and full of excitement, only the explorer should have courage, hope, and good temper, for each and every one will be as necessary in his chosen vocation as his pan and pick. When alluvial or placer gold has been found it is reasonable to suppose that the vein from which it was derived may also reward diligent search, for it is undoubtedly true that most placer gold has come from quartz veins. This, however, is believed not to be invariably the case, a recent school of mineralogists contending that pure masses of alluvial gold have been formed from the accretion or growth of the gold deposited from certain gold salts. This is in any case probably exceptional, and the prospector who finds gold in gravel should seek in the adjacent country for the quartz lodes from which it came. Important deposits may be expected at or about the line of unconformability where slates, shales, quartzites, sandstones, limestones, schists and other sedimentary deposits are pierced by intrusive masses of igneous rocks. Veins filling the cracks that once existed between two differing rocks are known as contact veins. Such veins are often very rich. Curiously enough large masses of true igneous rock rarely contain valuable deposits of mineral, but where such intrusive masses cut dikes or walls of porphyry, or diorite, the region is worthy of careful investigation. In an open country the prospector should keep to the hill tops if on the lookout for veins, as the outcrops show more distinctly on the bare ridges, but alluvial deposits are only found in valleys and along the borders of streams. In any case, much of the northern part of this continent can only be prospected by following the streams, on account of the dense growth of forest with which the soil is covered. The true line of strike of a vein can be determined only on a level stretch. The line of strike and the line of dip are always at right angles to one another; the outcrop may follow the strike or it may not. A pick, shovel, and pan, are absolutely necessary to a prospector's proper equipment. A good pocket lens, cheesecloth screen, and small iron pestle and mortar are often useful. The pan is the most essential part of the outfit, and is always bright from use. The regular gold miner's pan is 13-3/4 inches in diameter across the top, 10 inches across the bottom and 2-1/8 inches deep. The best are made of sheet iron and have a joint around the bottom rim which is of some assistance in retaining the spangles of gold. A more primitive instrument than the pan is the batea. This requires more skill than the pan, and is much in favor with South American miners. It is made of hard wood, 20 inches in diameter, 2-1/2 inches deep in the center, inside measurement, and sloping gradually to nothing at the sides. The horn spoon has been handed on from antiquity. It is made from a black ox horn, at least a black one is the best as it shows the gold better; it is eight to ten inches long by three inches wide, cut off obliquely. When gold is suspected in quartz, but there is visible to the naked eye more or less iron, copper, and other base metals, it is well to crush the quartz into coarse fragments. Roast on a shovel or other convenient tool over a hot fire, and finally pulverize in the mortar. If panned it will now reveal much of its gold, while, had these measures not been taken, the sample might have given negative results and been declared valueless. Sample is to 2,000 lbs. as gold found is to Ans. About 13 cubic feet of quartz weigh a ton before being disturbed; when broken to medium sized lumps 20 cubic feet may be taken as representing a ton. Although experience teaches the miner to estimate very closely the value of his sample, it is better for the tyro to have a small pair of scales with grain weights. A grain of gold, if tolerably pure, is equal to four cents. Above all things avoid the too common error of panning the pick of the rock, as a false estimate is bound to follow and only too probably eventual loss. A yard of gravel before being dug makes one and a half yards afterwards. A pan of dirt is usually about 20 pounds, although it is not well to fill quite full in actual work. Many a valuable mine has been found by following up "float" ore. Float is detached fragments of the vein or gangue, and it becomes more and more abundant as the lode is approached until it finally ceases abruptly. This indicates that the vein has been reached or passed, and a trench dug throughout the alluvial soil at right angles to the assumed line of the vein will probably reveal it. The float and mineral of course drift down hill; if the side of the mountain be saddle-shaped the float will spread out like a fan as it washes down, but if concave the force of gravity will concentrate it within a narrow space in the ravine. Float found at the foot of a hill has come, as a rule, from that hill. The nearer the vein the less worn will be the edges of the float and mineral. The gangue or vein-rock in which the metal is found may be calcite or calc spar, fluor spar, heavy spar or baryta, or quartz. Gold is almost always found in this last matrix. The upper parts of most quartz lodes are usually oxidized, that is to say, the atmosphere has acted upon the iron pyrites, freeing the sulphur and staining the quartz yellow, red, or brown, by oxide of iron. This is known as "gossan" or the "iron hat." Such quartz is frequently honeycombed and rotten. Below the water level these veins run to sulphides in which decomposition has not set in, and the gold contained in the quartz is no longer "free milling," i.e. will not give up its gold to mercury without a preliminary treatment. Whenever the explorer comes across a mass of gossan he should sink a trial shaft to the vein, as it is almost certain that below the oxidized sulphides a body of mineral exists likely to encourage mining operations. Native gold is malleable, will flatten out under the hammer, and a steel knife will cut it with ease. It almost invariably contains silver, sometimes to the extent of one-fifth. A little practice will enable the prospector to recognize it, for there is but one king metal. Much gold is derived from copper and iron pyrites, and silver and lead ores are a very large source of supply. Gold is found in gravel of every variety, from finest pipe-clay to boulders weighing tons. Sometimes volcanic eruptions have covered these deposits since the ancient rivers laid them down, and in many cases their courses do not in the least agree with the valleys of the shrunken streams that have replaced them. Gold may be distributed through the whole thickness of a bed, but ninety-nine times out of a hundred the richest layer of gravel is just above the bed rock upon which all the gravel rests. Gold may even be found among the grass roots, especially in dry localities where there has been little water to carry it downward. When the bed rock consists of upturned slates the gold frequently penetrates it for some little distance. Sand is nearly always poorer than gravel. The experience of miners in the Victoria gold fields is that gold is always found on the bars or points, and not in the deep pools and bends. The great difficulty with which any but the very finest particles of gold can be moved by water accounts for the value of the deposits depending largely upon the local rocks. It is very fortunate that gold's specific gravity is so great, for were it less its recovery would be much more difficult. The sluices and other apparatus of the miner are really nothing but the operations of nature imitated on a much smaller scale. There is one thing, however, time, that nature can afford to expend in prodigious periods, while man must not waste a single minute. It not being possible to point out where the ancient river beds lie, smothered as they are by hundreds of feet of overlying drift, lava, and other later deposits, the only feasible plan is a series of boring with the diamond drill. When gold has been discovered the finder must act with the greatest prudence, for even gold may be bought too dear. The surest test is a mill run, that is passing 10 to 50 tons through all the operations of crushing, milling, roasting, amalgamating, etc., and so ascertaining what returns are likely to be obtainable when the deposit is worked on a commercial scale. True sampling is necessary. All parts of the vein should be included, and the lode cross-cut by galleries in more than one spot. It is the very great necessity of these expensive preparatory explorations that has given rise to the saying, "Quartz mining is for rich men." Many gold mines have been abandoned as unprofitable that could have been mined at a profit had their owners been wealthy and enterprising enough to do a great deal of expensive prospecting by diamond drill, cross cuts, drifts and rises. In one instance that came to the writer's knowledge a clever mining engineer cleared nearly $200,000 profit by leasing for a term of years a gold mine that was supposed to be exhausted. A drill hole sunk less than 50 feet below the old workings revealed a pocket of ore in the vein, and paying quartz was found for many hundred feet below. With the improvements in electricity made recently a cheap power has been provided that will permit many mines to be reopened. The saving in working expenses effected by introducing electricity is often very large; after the plant is once installed the cost is almost nil where turbines can be employed to furnish the power to the generators. Machinery capable of delivering power at a distance of several miles from the plant, may be operated at very reasonable cost as compared to that of other prime movers. Discoveries of many deposits that have in time been successfully mined were the result of chance. No skill guided the finder; he merely stumbled upon his luck just as the wayfarer once in a while hits his toe against a well-filled pocketbook. For instance, a South Australian squatter picked up a piece of copper ore that a wombat had thrown out of his burrow, and the result was the discovery of the great Wallaroo lode. The first diamond from South Africa was picked up by an ignorant bush boy and kept with a lot of worthless pebbles in the private collection of the boy's master; no suspicion existed of its value until a passing trader had carried it away and obtained $2,500 for it in Capetown. Gold was first discovered in California in 1848 by the superintendent of a sawmill who saw it glistening in the flume. Similarly gold was discovered in both Australia and Brazil by the purest chance. Had not a tree been uprooted by the wind the vast deposits of soft hematite iron ore in the Biwabic iron mines of the Mesabi range, Minnesota, might have remained unknown for many a long year to come. In the desolate region to the northward of Lake Huron great stores of nickel ore exist. These mines, which may some day regulate the price of the metal all the world over, were exposed in a railway cutting; no one dreamed of their existence. The Redington quicksilver mine in California was discovered by some roadmakers. Tradition relates that the enormously rich silver mines of Potosi, in Bolivia, were discovered by the accidental uprooting of a bush having spangles of silver ore attached to its roots. This was in 1538, and two hundred years later a similar streak of luck revealed the wealth of the Catorce district of Mexico, from which in thirty years, ore to the value of $35,000,000 was taken. Moreover, the search for one mineral often leads to the discovery of another. The Comstock lode was first worked for gold, and the miners threw away the black sulphide of silver worth $3,000 to the ton. The Broken Hill mine in Australia was claimed as a tin deposit by its finder; it is now the greatest silver producer in Australasia. Such instances could be multiplied almost indefinitely, chance entering into a majority of mineral discoveries. On the other hand, it has happened, not infrequently, that purely scientific deductions and calculations have brought to light stores of mineral wealth. Certain minerals are likely to be found associated. Cassiterite goes with boron and tourmaline, topaz, fluor spar and lithia-mica; all containing fluorine. It is also found with wolfram, chlorite and arsenical pyrites. Magnetite is often accompanied by rocks containing garnet, epidote and hornblende. Zinc blend and galena may occupy the same vein, which is likely to be of baryta or heavy spar. Much galena carries silver. Gold is associated with many metallic sulphides such as iron, magnetic, and copper pyrites, mispickel, galena, blend, stibnite and tetrahedrite. Gypsum accompanies salt. Surface indications may be described as: Form of ground, color, outcrop, decomposed and detached mineral, mineral deposits from springs, altered or peculiar vegetation and other similar guides. A hard quartz outcrop often stands up like a wall and is traceable for miles. The Rainbow silver bearing lode of Butte, Montana, stood 20 feet above the surface. Soft minerals, such as clay, are cut into and sunk below the surrounding level. Deposits of Kaolin or China clay are usually so found. Any special bright coloration of the rocks of a district merits investigation. Copper gives green, blue, and red stains; iron, red or brown; manganese, black; lead, green, yellow or white; cobalt, pink; cinnabar or quicksilver, vermilion. The nickel deposits of New Caledonia were made known to the world by the explorer Garnier in 1863, his curiosity having been aroused by the delicate green coating given the rocks by an ore containing water, quartz, nickel and magnesium. Hard beds of shale decompose on the surface into soft clay, and a still more noticeable change is the conversion of ores containing sulphur into oxides. This chemical change causes the gossan or "iron hat," for which token of underlying wealth the prospector should be eternally watchful. This alteration may extend downward four or five hundred feet from the surface, but in such cases the true weathering has ceased long before the limit of discoloration is reached, and the change of substance is due to the filtering of surface waters through the vein. Gossan varies greatly in its nature. Galena becomes anglesite, cerussite, pyromorphite and mimetite. Copper pyrite changes into native copper, melaconite, cuprite, malachite, chessylite, or perhaps into a phosphate, arsenate, or silicate of the metal. Carbonate of manganese gives the black oxides and silver sulphide ores are, after weathering, known as native silver, kerargyrite and embolite. The ore in the gossan is very generally more valuable than it will be below, and this is especially true of gold and silver ores. The gold having been set free from the close embrace in which the iron pyrite held it previous to the latter's oxidation, it is now readily caught by quicksilver. Silver under similar conditions becomes chloride, and likewise amalgamates without difficulty. Seams containing native sulphur often show no trace of that element on the surface, having weathered into a soft, white, gray or yellowish-white granular, or pulverulent, variety of gypsum. Veins of asbestos often decompose into a white powder found in the crevices of the rocks; fibrous asbestos existing in the interior. Petroleum shows in an iridescent film upon still pools, and the odor is a sure guide to its nature. A "dipping-needle" is valuable to the prospector on the lookout for iron ore; by its use he may discover masses of magnetic ore and trace their extent. As he carries the compass over the ground the needle dips toward any iron mass he approaches; directly over the ore it becomes vertical. In a wilderness country strength of body and endurance are important qualifications. The prospector must, moreover, have such general knowledge of geology and mineralogy as to be able to recognize all valuable minerals and confirm his conjecture by simple tests. Pick, shovel and pan must be handled skillfully, while the rifle, shotgun and paddle must also be understood. For in the unsettled parts of the country the traveler must even yet rely to some extent upon the fish and game he may be able to secure, and every old prospector becomes a trained hunter and camper. Knowing how to bake bread is sometimes more valuable than much mathematics; ability to build a rough boat is often the one hope of salvation. In sinking a short shaft in a sunny country a large mirror, inclined at a suitable angle over the shaft, will give sufficient light. Lodes or veins following the general trend of the auriferous quartz are much more likely to be rich than are those that cross it. Gold is never distributed evenly in veins, though it may be in great beds of low grade material; but more often rich areas alternate with barren portions. Where quartz veins are small and the rich pockets separated by wide intervals of poor gangue the gravel of the district will usually be similar in character. As this condition obtains in the upper Yukon district as far as the gravels are concerned, it will probably be found to hold good for the quartz leads, when they shall have been discovered. The more nearly the gold formation approaches to the crystalline schists, the poorer will the quality of the gold be through the larger percentage of silver found in it. In slates the proportion may be 22 gold to 1 silver; in schists it has been known to be a ratio of 1 to 1. With the discovery of valuable gold-bearing gravel on the bare hillsides of the Northwest, a vast region has been added to the area the prospector may explore to advantage. No experience acquired in ordinary American placer grounds is likely to be of much use in detecting these higher gold-bearing gravels of the Yukon, but they appear to be somewhat similar in character to the New Zealand terraces. Terrace-prospecting requires perseverance and the use of some brains, as it is infinitely harder than creek-prospecting. These terraces or benches are the remains of old river beds. The whole bench must be carefully scanned over because the gold is quite as likely to be in one part as in the other. Sometimes it is in half a dozen different layers one above the other. Sometimes the old river terraces are entirely covered by landslides, and the majority of such deposits are not likely ever to be found, as it is almost impossible to guess at locations. In New Zealand gold has been found on table-lands nearly 6,000 feet above sea level, and according to recent information valuable claims have been discovered in Alaska on the very summits of the rounded hills on each side of El Dorado creek. To understand how such deposits as those of the Northwest may have been made, suppose that such a vein as that of the Idaho, which has been worked for a depth 1,700 feet by a width of 1,000 feet, and from which $17,000,000 have been taken, to have been worn down by glacial or other forces. Is it not conceivable that the gold would gradually have accumulated in the nearest canyon? To obtain suitable samples of the vein a dolly is an efficient apparatus. This is practically a very simple, crude, stamp mill. On the end of a solid log, firmly fixed in the ground and standing four feet or so above the surface, a square 6-inch hole is cut in which are fitted wrought iron bars 3 inches deep by 1/2 inch wide, and separated by equal intervals. These bars taper below so as to permit free passage of the pounded mineral. A wooden box surrounding the grating keeps the ore in place. A block of wood, shod with iron, forms the stamper. The miner hauls on the handles at every blow. The gold is saved on the lower table. No one of experience in mining would look for brown hematite in a granite range, nor for black band, though such might be a likely region for red hematite or magnatite. The explorer should be familiar in theory at least with the locality where he may expect to find valuable minerals. For instance, should he be searching for some heavy, detached substance that is usually found in placer deposits he will keep to the low ground and examine carefully the beds of the streams. On the other hand, should his quest be for some ore that is more properly a component of a lode or vein he will examine the side hills and summits where denudation will certainly have exposed such deposits. Then he must know the appearance of each ore, and with the methods of making rough and ready tests he must be perfectly familiar. Gold is always more or less intimately associated with quartz. Oxide of tin is said never to have been found more than two miles from some granite rock, one of the components of which was muscovite or white mica. The junction of slates and schists with igneous or metamorphic rocks often proves a valuable find of mineral. Rocks for the purposes of the explorer may be grouped under three heads: Igneous; metamorphic; stratified. The first includes lavas; trachytes, grayish with rough fracture and mainly glassy; dark basalts: and traps, such as greenstone. Obsidian is a volcanic glass. Metamorphic rocks are thought to have once been stratified, but to have been altered by heat. They comprise granite, of quartz feldspar and mica; syenite, containing hornblende instead of mica; gneiss, like granite, but showing lines of stratification; mica schist, made up of mica and quartz and separating easily into layers; slates. Stratified rocks are those deposits from water, such as sandstone, limestone, clay, etc. A prospecting shaft need not be of large dimensions. One 4 feet square is amply large for any depth down to 30 feet, but it must be kept plumb. Sometimes shafts are sunk through the pay streak in alluvial gravel, without it being detected. Frequent panning will guard against this mistake. In the Klondike region it is said early prospectors missed very rich deposits, that have since been discovered, by stopping short of true bed rock, being misled by a bed of harder gravel that they thought was bottom. Silver almost invariably carries some gold. The dark ironstone hat already referred to is a good indication of silver ore beneath; it is generally composed of conglomerates cemented by oxides of iron and manganese. Galena, which is sometimes so rich in silver as to be worth working for that metal, may often be followed by surface indications; namely, a white limy track with detached fragments of float ore in the surface soil. The blowpipe or fire assay quickly determines silver ore.
Tin in lode, stream, or alluvial deposits occurs only as an oxide, but its appearance is varied. It may be almost any color and shape. It is always near granite, containing white mica known as muscovite. Wolfram      7 to 7-1/2    Red, brown or black. Black Jack   4.3           Yellow, white. The magnetic or dipping needle is used in New Jersey, as follows, according to the State Geologist, W. H. Scranton, M.E. : "An attraction which is confined to a very small spot and is lost in passing a few feet from it, is most likely to be caused by a boulder of ore or particles of magnetite with rock. An attraction which continues on steadily in the direction of the strike of the rock for a distance of many feet or rods, indicates a vein of ore; and if it is positive and strongest towards the southwest, it is reasonable to conclude that the vein begins with the attraction there. If the attraction diminishes in going northwest, and finally dies out without becoming negative, it indicates that the vein has continued on without break or ending until too far off to move the compass needle. If, in passing towards the northwest, along the line of attraction, the south pole is drawn down, it indicates the end of the vein or an offset. If, on continuing further, still in the same direction, positive attraction is found, it shows that the vein is not ended, but if no attraction is shown, there is no indication as to the continuance of the ore.
"In crossing veins of ore from southwest to northwest, when the dip of the rock and ore is as usual to the southeast, positive attraction is first observed to come on gradually, and the northwest edge of the vein is indicated by the needle suddenly showing negative attraction just at the point of passing off it. This change of attraction will be less marked as the depth of the vein is greater, or as the strike is nearer north and south. The steadiness and continuance of the attraction is a much better indication of ore than the strength or amount of the attraction. The ore may vary in its susceptibility to the magnetic influence from impurities in its substance; it does vary according to the position in which it lies, that is according to its dip and strike; and it also varies very much according to its distance beneath the surface." "It is sufficient to say that the first examinations are made by passing over the ground with the compass in a northwest and southwest direction, at intervals of a few rods, until indications of ore are found. Then the ground should be examined more carefully by crossing the line of attraction at intervals of a few feet, and marking the points upon which observations have been made, and recording the amount of attraction. Observations with the ordinary compass should be made, and the variation of the horizontal needle be noted. In this way materials may soon be accumulated for staking out the line of attraction, or for constructing a map for study or reference. "After sufficient exploration with the magnetic needle, it still remains to prove the value of the vein by uncovering the ore, examining its quality, measuring the size of the vein, and estimating the cost of mining and marketing it. Uncovering should first be done in trenches dug across the line of attraction, and carried quite down to the rock. When the ore is in this way proved to be of value regular mining may begin. In places where there are offsets in the ore, or where it has been subject to bends, folds, or other irregularities, so that the miner is at fault in what direction to proceed, explorations may be made with the diamond drill."